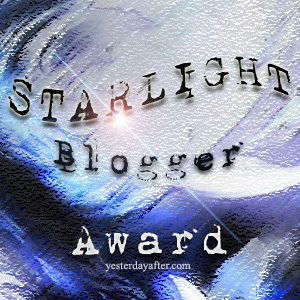 Thanks to Maria at MariaJob for nominating me for the Starlight Blogger Award–be sure to drop by and check out her blog! Here are the Nomination Rules for nominating your 6 favorite bloggers! In your nominees, I would like for you to think at the light emanating from the stars, the ones that truly touch your soul with their work, the ones that are the light for you, a true starlight by blogger. 2. If you had to create a public holiday for the world, what day would it be, why and what will the day stand for? I feel like a question like this needs an altruistic answer, but, let’s face it, the world’s problems are not something that can be fixed by observance of one idealistic day. So, I’ll choose something more tangible. I think that we have a tendency to get caught up in the busy-ness of every day life. My holiday would be a “Stop and Smell the Roses day” where everyone takes a step away from the day-to-day rush to stop and spend time doing something they love with the people they love most. No being called into work, no working from home, no errand running. 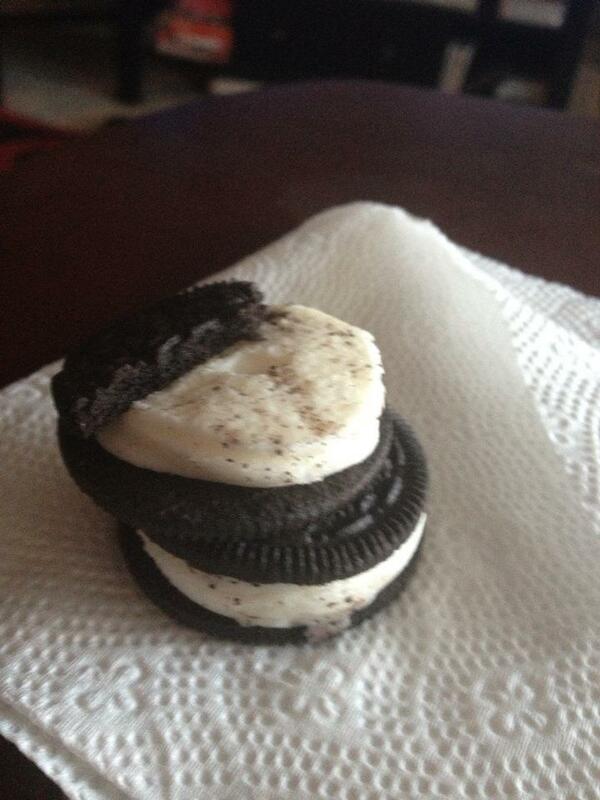 Mega Stuff Oreos–the cream equivalent of two double stuffs, without having to go to the trouble of twisting off the extra cookie tops. 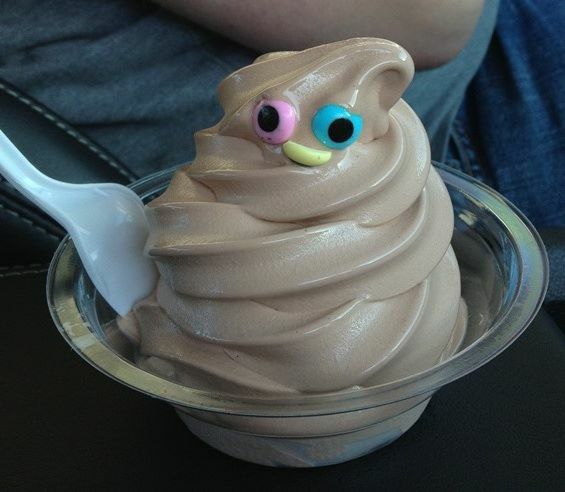 Chocolate soft serve–it’s great by itself, but amazing with googly eyes! 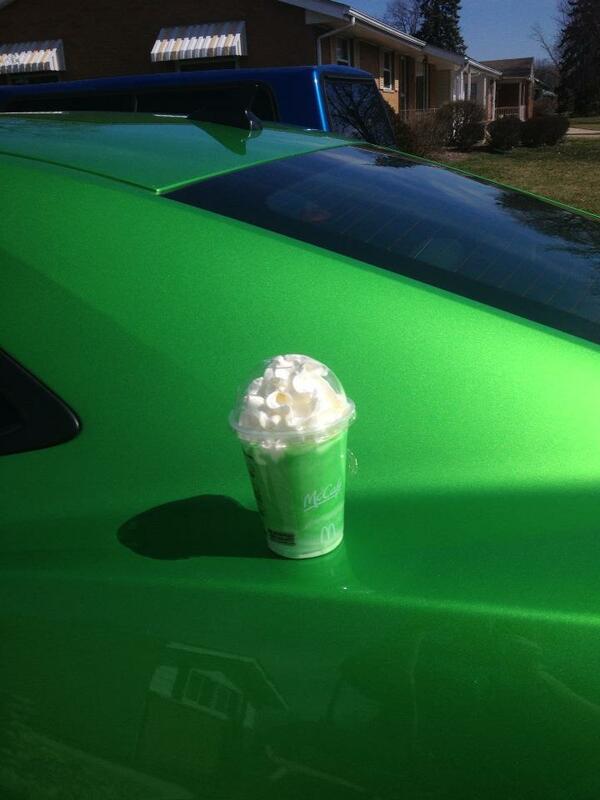 McDonald’s Shamrock shake–my love for it has nothing (ok, maybe just a little) to do with the fact that it matches my car. Why are they only available once a year?! Ice cream with corn flakes. 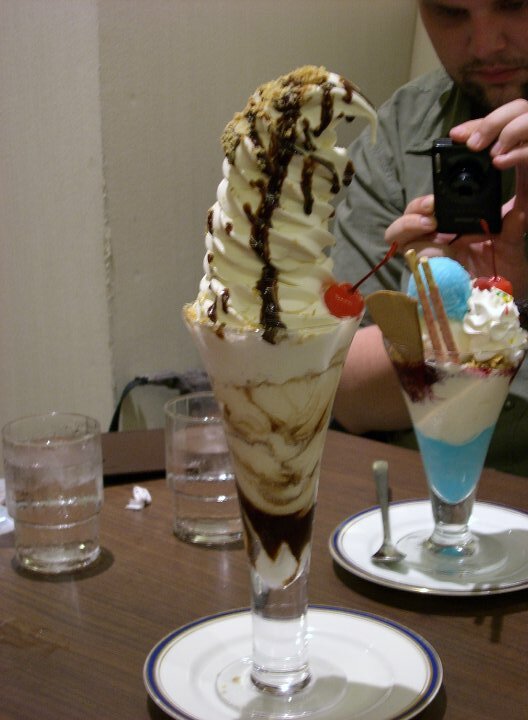 Pairing ice cream with cereal seems so obvious, but I never even considered it until I had it on this sundae in Japan. 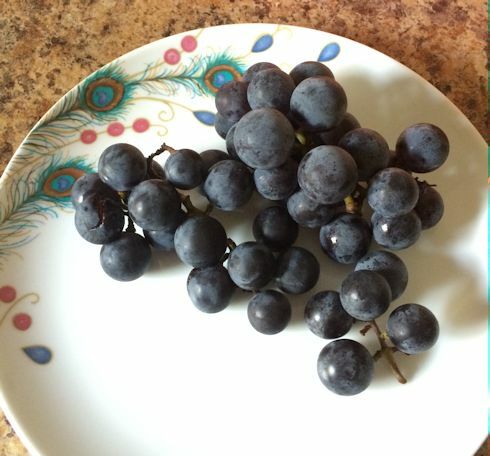 I realize my food preferences seem to be slanting toward the unhealthy, so here’s my healthy pick–concord grapes. When they are ripe, they taste amazing! They are in season right now, so I’ve been enjoying (read as: pigging out on) them for the last two weeks. 1. If you could be anything for Halloween what would you be? 2. What are your favorite books and why? 3. Share a picture of your favorite food (I like this question so I’m using it too!). Oh my, just thinking about spiders in my hair makes my skin crawl. I would have reacted just the same as you! (Along with a great deal of screaming and running around in circles, I’m sure.) Since we live surrounded by fields, we have a *lot* of spiders. Big ones. Fortunately, we have a service that comes out every 3 months to spray the exterior of the house and patio areas and that has been highly effective at keeping them away from the house–inside and outside. Oh I did freak out, it was at d start of a 7am class, we were just 4 ladies taking that course, the male lecturer ran out while asking the others to help me because I looked like I was going to get out of my clothes. It wasn’t funny. After much assurance from my friends to calm down, I couldn’t wait for the class to be over, I went to the salon immediately after to take off the hair. Now I can laugh about it. And keep my bed from the wall still, while fumigating my room every month.